Kudos to the folks at Bottles & Burgers for their courage. They've opened yet another Vegas burger joint, they've done it in the struggling Tivoli Village shopping center, and they've gone above and beyond to make it interesting. 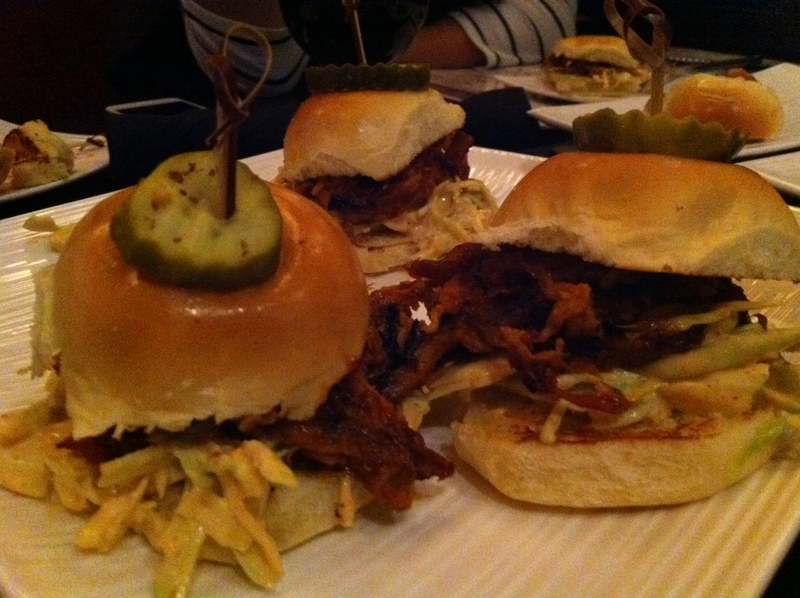 Of course, a pulled pork slider sandwich is nothing new, but these are pretty damn good. The meat is tender and flavorful but not too soft, the apricot barbecue sauce is not too sweet, the chiptole coleslaw has a delicious zesty, creamy kick, and the baby brioche bun is wonderful. There's event a sweet pickle chip on top, just for fun. Of the several sandwiches we tasted in our first visit to Bottles & Burgers, these baby barbecue bites were the standouts.